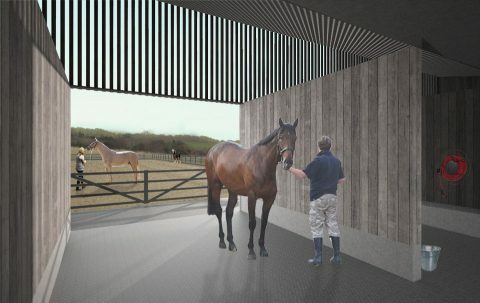 The brief for this project was to extend and renovate an existing inter-war house, create a new domestic landscape and swimming pool; and add new stables to include a dressage school. The property is situated in an Area of Outstanding Natural Beauty. 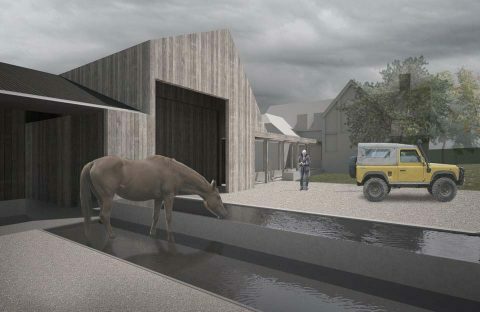 Our approach began with an evaluation of the existing relationship between house and landscape and the desire to create two ‘external rooms’ – a domestic kitchen garden and an equestrian courtyard. 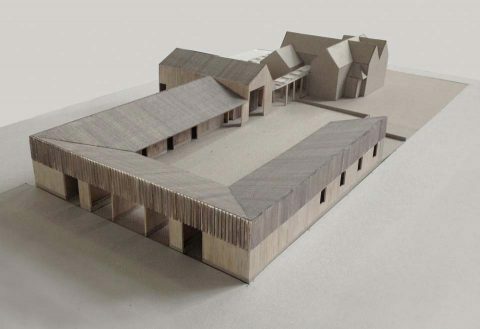 The reconfiguration of the existing house began to suggest a structure for the first of these ‘rooms’ with the new swimming pool and kitchen garden located to relate to the internal living spaces. 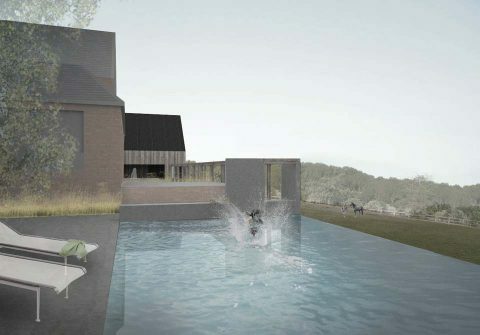 The pool and garden are connected and enclosed by a loggia which defines the edge of the cultivated landscape as it meets the ‘wild’ meadow. 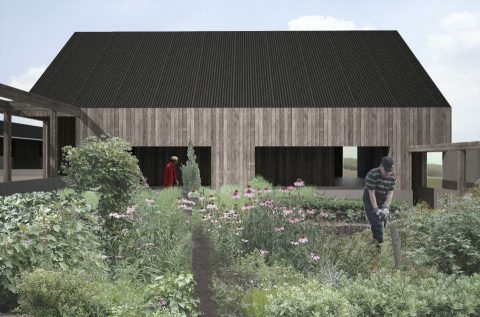 The loggia of the kitchen garden connects to a traditional cat-slide roof form which rises to enclose a new hay and vehicle barn. 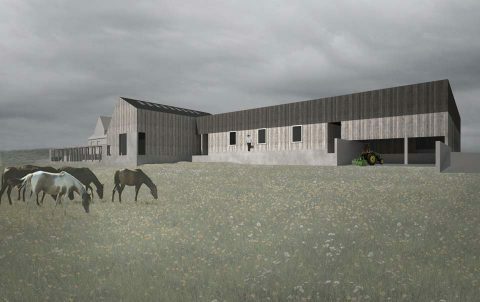 This asymmetric form anchors the two new external rooms articulating the shift in scale and activity from large horses and vehicles to the intimacy of the carefully tended domestic garden. 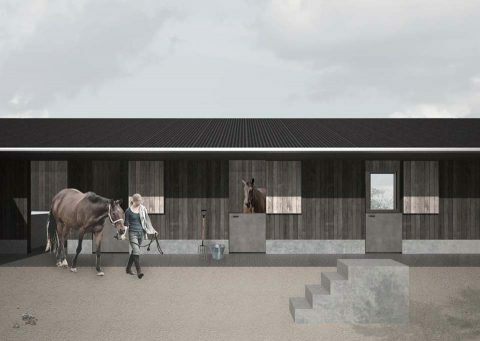 The stable buildings are constructed from coarse timber boarding and in-situ concrete. 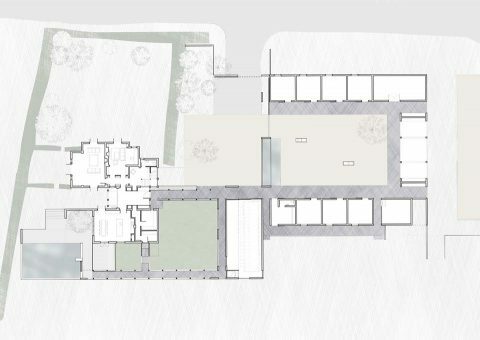 The straightforward details sit in contrast to the more refined pigmented concrete and hardwood structures used to form the domestic landscape spaces. 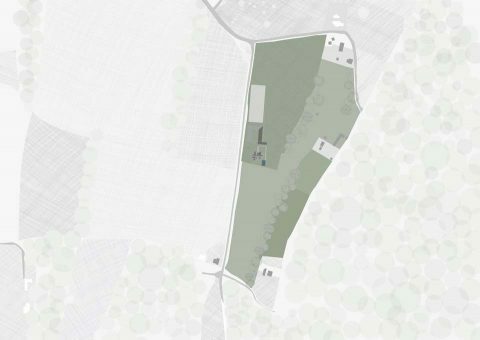 The materials are arranged in horizontal bands visually stitching the long low stables into the landscape – a composition of long ridges of dark trees and hedgerows read against the rolling chalk meadows. The project is still in development.